Steptoe Butte is in Whitman County, Washington about 100 miles south of Spokane. I've photographed the Palouse from Steptoe Butte many, many times and this winter I made it a point to do it again, but in the snow. I was able to drive about 2/3rds of the way up the butte before I couldn't drive any further. 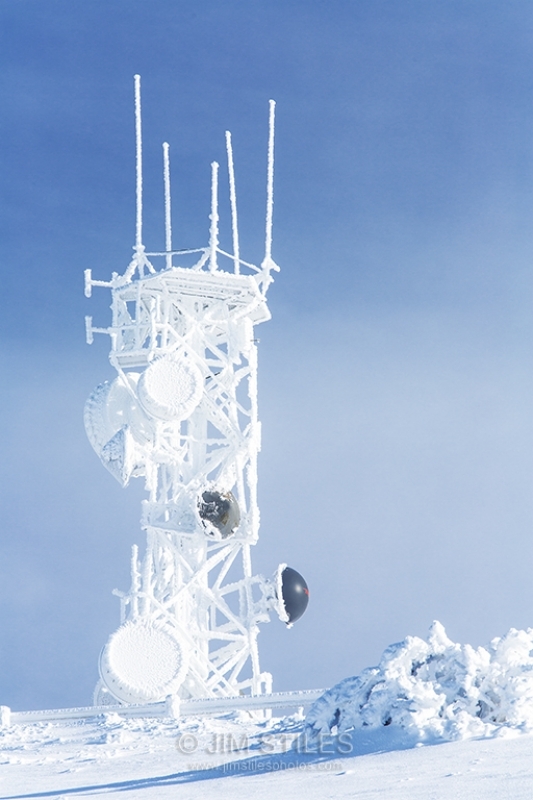 After shooting the snow covered wheat fields below I turned my attention to the repeater tower above and was quite taken by how deeply encrusted it was from the blowing, freezing weather.